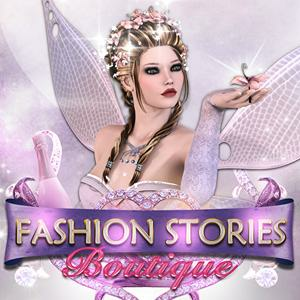 Fashion Stories Boutique Collect Free Items, Daily Cheats, Rewards, Gifts. *** Voting Arena and Leaderboards Live *** Congratulations to Day1 winners, get ready for amazing rewards! Link Play Fashion Stories NOW!... Like and Share!!! *** How will the Voting feature Work *** Link Play Fashion Stories NOW! -So the Voting feature is here, what should we expect?... The Voting Arena opens up June 2nd and will feature Daily contests with unique backgrounds. Once you submit your looks for tomorrow's theme, you can start Voting for Today's contest. Decide which model of the head to head showdown has the most votes from the community and, keep voting until you have 10 correct answers or 3 wrong ones. -How do I enter the Voting Arena? You can enter the Arena for free everyday! Choose your looks according to the theme and become the Fashion Legend, - Can I change my looks? You can change your looks as many times as you want before the contest is live. After that you submit a new model that will enter next day's contest. -Ok, so I have joined the contest, how do I start voting? All you need to begin is 100 Voting Tokens! -Voting Tokens. How do I get these? Once your model has been submitted to the Arena, you will be given Free Votes. You can also get extra Votes from Gameplay or In App purchases. -What do I win by Voting correctly? You get great gifts for finding which models are most liked, including coins, opals, fame points and even Diamonds and Legendary fragments. -Does Voting correctly affect my model's chance to win? As you vote more times, you increase the chance your model has to be featured in a showdown. So more Votes greatly increase your odds to climb on top of the leaderboards! - Leaderboards sound fun. But what about those prizes? Every day you get plenty of resources from the Voting Arena. . You will also earn Crafting Dust, Diamonds and Social Tokens based on your daily leaderboard Rank. -Social Tokens, what's that? Social Tokens are used to purchase Designs from the Social Store. They are earned through Voting and Leaderboard ranks. -What's in the Social Store? Every month the Social store will have Unique Designs, that you will only be able to purchase with Social Tokens. After their month they are only available through premium currency. Great! Thank you very much! *** Voting Contests begin June 2nd *** Choose your themed outfit and dominate the Arena. Win great prizes, visit the Voting Store and become a Fashion Legend. Link Play Fashion Stories NOW!... Like and Share!!! *** Contest Winners 35 Diamonds awarded to each*** Congratulations @Tammy Moffat for best Single Screenshot @Grilled Fashio for the Full Sized View and @Tricia Shealy for Best Space Allocation Send us a private message and claim your prize... Link Play Fashion Stories NOW! Like and Share!!! *** Join The Contest for 100 Diamonds *** 1. Like and Share this Post 2. Send a screenshot of your Boutique at fsb@nsi4.com Link Play Fashion Stories NOW!... Like and Share!!! *** Daily Bonus activated - Great Rewards for 30 days *** Link Play Fashion Stories NOW! Like and Share!!! *** Patch 1.1 is now live! *** Here is a list with the new features, improvements and fixes that are now available in Fashion Stories Boutique! Link Play Fashion Stories NOW!... New Features - Adding a new resource that allows players to speed up raw resources. This time buff can be obtained through requests. - Special Orders Vendor now becomes Active, offering amazing Rewards and Unique Resources. Improvements - Character Features prices have been changed. - Various Quests have their level requirement increased. - Various objectives are now flagged as unique. - It is now possible to dismiss one quest every day. - Quest Log is now a list in order to display more than 6 quests. - Closet buy popups now correctly indicate the name of the unlocked item. - The model Emily now requires 3x Thick Linen to begin her timer instead of 1x Star Dust. Fixes - Fixed an issue that was preventing the desync screen to be displayed in some cases. - Full screen is now properly closed when accessing Facebook features (payments, requests etc.) - A fix has been implemented where sometimes the wrong prop would be clicked. - The closet items list size now has the correct size. - Crafting prop list arrow does not disappear anymore when selecting a recipe. - Fixed an issue where the model Jade would deduct 100 coins when her timer began. - Opals can no longer be deducted twice when purchasing a designs pack Like and Share!!! *** Time to Claim your Prize *** Link Play Fashion Stories NOW! For Players that shared the March 7th Post, we have an exclusive reward. Send us a private message with the Facebook ID on your Settings Tab, and we will deliver your Prizes.... Like and Share!!! *** Find out what is New in Patch 1.1 *** Link Play Fashion Stories NOW! Continue Reading to discover New Features Coming Soon...... - Adding a new resource that allows players to speed up raw resources. This Time Buff can be obtained through requests. - Special Orders Vendor now becomes Active, offering amazing Rewards and Unique Resources. - Starter Packs become Available, great discounts and a great headstart. Fashion Stories Boutique is now Live!!! Link Certain features, like Voting and Sharing, are disabled as we want to make sure you have the time to enrich your Closet.... Help us update content faster, by sending messages with any issues you might encounter. Like and Share!!! This Website is not affiliated With Fashion Stories Boutique. Trademarks are the property of their respective owners. Game Content and Materials Copyright Fashion Stories Boutique. All right reserved.